Scott Steinberg’s article on CNN.com this morning got me thinking. Not about museums per se, but making historic games available for people to play and study. However, let me first get something off my chest about video game museums. I’m really happy that some museums are sprouting up, and I’m a big fan of the International Center for the History of Electronic Games. But I really wish we had a video game museum in the San Francisco Bay area, which was the home of Atari. What better place? We do have the Musee Mecanique, which is fantastic and specializes in early-1900s games. We also have the Pacific Pinball Museum, which you could say specializes in 1940-1980 games. What about 1980-2010 games? 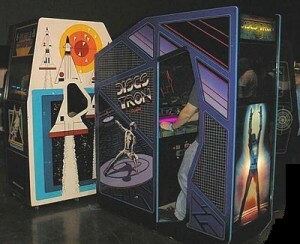 Arcade games? PC games? Console games? Where will people go to see these? About a year ago I got together with a group of local folks with the same interest and we had a chat about the idea of starting up a local video game museum, but we’re all very busy and it was difficult to keep the momentum going. I still think about it a lot though. However, there is one thing I’m spending a lot of time thinking about at work lately, and that’s Native Client, the sandbox for running compiled code inside of the Chrome web browser. Having compiled C++ games able to run in the browser is something I get very excited about. It makes me wonder – would it be possible to get some of these old games running in the browser via MAME? That could really lower the barrier to playing some of the historic older games… although admittedly nothing is quite like the experience of playing them on the original hardware. I wonder, would it be interesting to emulate the old tools as well? I’m inspired by people creating new games for the Atari 2600, like Ed Fries’ Halo 2600 and Ian Bogost’s Guru Meditation. To me it would be very interesting to see what the experience was like of creating games for the Atari 2600 or Intellivision “back in the day”. I’m going to do some playing around and see what I can get to work. Native Client is still fairly young, and under rapid development. But it could wind up being a wonderful way to share the love of historic video games with others. Wow, at first I thought you SF people had yet another pinball museum, with Lucky Juju, http://www.ujuju.com/, but that’s just the cool name for Pacific Pinball Museum, or something. I look forward to visiting it someday. The ICftHo Electronic Games group is pretty great, we visited their collection of machines at the Strong museum in Rochester in January. I believe Stanford is also doing work on preserving video games, though I don’t know anything beyond what I heard in episode 2 of “A Life Well Wasted”, http://alifewellwasted.com/podcast/. Great podcasts (except the last part of episode 6, sadly). Episode 5 interviews a successful pinball designer (sadly, looking for work, and episode 4’s interview of a self-taught videogame chip designer was fantastic. All in all, I recommend this podcast. On videogame preservation, the interview with the Stanford guy brought up the fascinating issue of “how do you possible preserve a MMORPG?” You could run the software, but it’s the player culture that makes the game what it is. A few weeks back at Gencon I got to play M.U.L.E. on a Commodore 64 with my younger son – still a great game (though I forgot about the Crystite luck factor being pretty serious). It just isn’t the same in emulation, e.g. http://www.atarimule.com/about.htm, vs. everyone huddling around the keyboard during the auctions, taunting each other with “beg for it, monkey, beg!” and whatnot. Still, better than nothing, and a good walk down memory lane. – You didn’t mention Melissinos’ thing. – While not a “museum”, I wonder whether there’s a better opportunity to open such a business like Ground Kontrol here in Portland. It’s basically a pub/arcade with all classic vids and pins. Let us not forget to mention the good people who organize California Extreme and the Classic Gaming Expo every year. While neither is a museum, taken together they are a fine and interactive walk through history. I’ve talked about this before and always wanted to start something, but couldn’t muster enough people interested to seriously explore it. If you ever do want to get a group together about starting a history museum for interactive media, count me in!